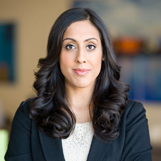 Erica Dhawan is a business strategist, motivational speaker, and innovation expert that provides her audiences with a fresh, humorous, and energetic keynote. Through speaking, Erica teaches business leaders innovative strategies that increase value for clients, deliver results, and ensure competitiveness. Erica stopped by Eagles Talent and participated in our Behind the Podium segment, where she shared her insight on connectional intelligence and accelerating the connectedness of the workforce. The capability to unlock new and unrealized value by fully maximizing the power of our networks and relationships. A way to unlock greater intelligence from networks we already have and deepen them over time. A crowdsourcing community where people come together to help each other solve problems to save time, money, and resources. A way to drive new values and engage customers. Interested in booking Erica Dhawan for your next event? Contact 1.800.345.5607 or visit eaglestalent.com for more information. This entry was posted in Behind The Podium, Corporate Entertainment, Speakers Bureau Trends and News and tagged 21st century leadership speaker, Authority in Leadership Development, behind the podium, best inspirational stories, best leadership speakers, best ted talks, big picture possibilities, building customer relationships, building relationships, business trends, businesses, collaboration, connection executors, Connectional Intelligence, Creativity & Innovation, eagles talent speaking bureau, enablers, erica dhawan, innovation, innovation and creativity speakers, keynote, motivational, speaker, the story teller with practical insights, thinkers. Bookmark the permalink.